There’s a collection of blogging babes with badass fringes who apparently think my fringe is pretty badass and have asked me to join their group. Every couple of months a theme is decided which is used to inspire our outfits. 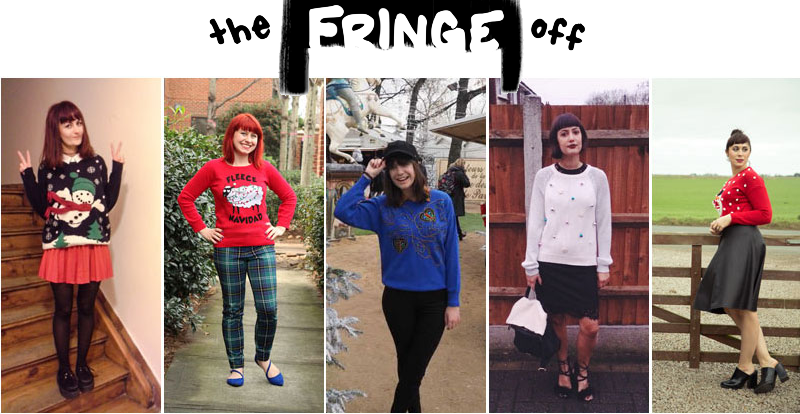 For my first #TheFringeOff post, the theme couldn’t be more perfect – Christmas Jumpers! 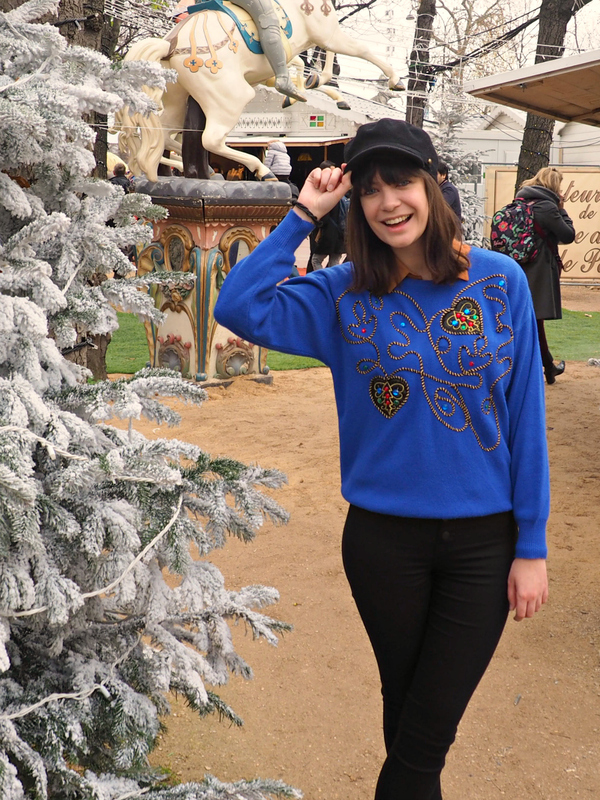 I’ve been in Paris this past weekend, so what better setting for my Christmas jumper than a French Christmas Village! This fab 80’s glitzy number I picked up from Beyond Retro’s pop-up Christmas jumper shop last year. It’s got a great, loose, comfortable fit to it, perfect for the inevitable overeating season! I also love that I can get away with wearing it earlier on in A/W and even after Christmas and New Year. I’ve worn it with my new black high-waisted jeans from H&M that I managed to get with 20% off AND free postage (hallelujah for Black Friday! 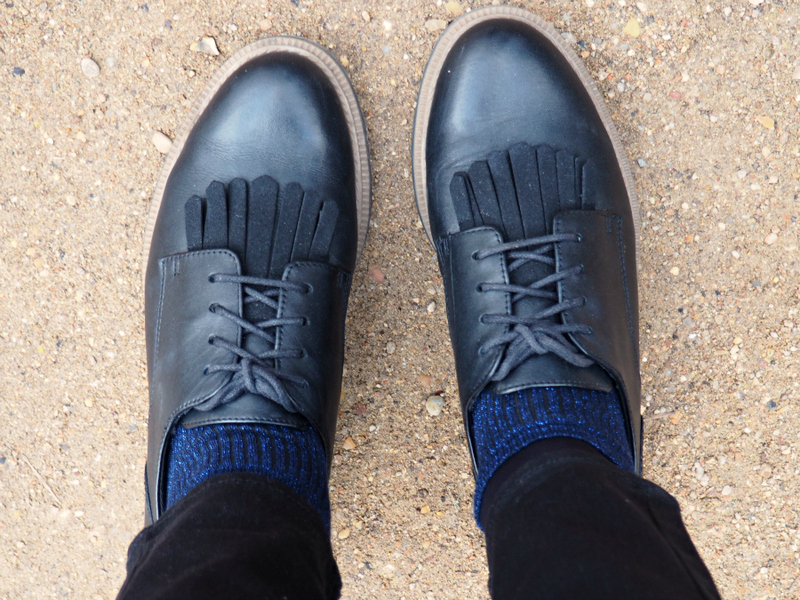 ), my black Clarks shoes, and not forgetting some sparkly socks. 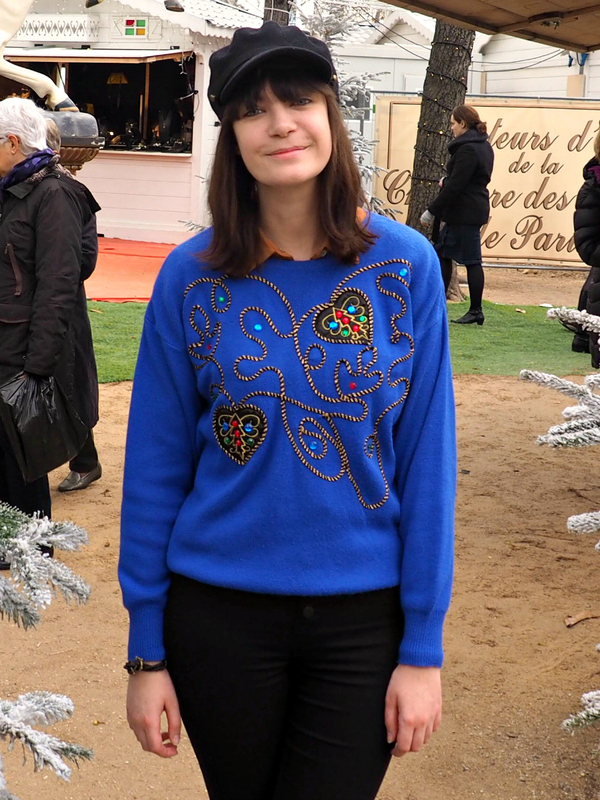 It was absolutely freezing in Paris, so my black paperboy hat from Pepe Jeans was the perfect finishing touch. Check out the other #TheFringeOff posts below! I had so much fun coming up with an outfit to fit the theme, and I cannot wait for the next one!! Be sure to follow me on Bloglovin to see more from my trip to Paris coming soon! Love the color match – the socks and the sweater look fantastic! You definitely picked a great Christmas sweater because it can be worn outside of December. It’s just slightly non-Christmas-y enough! I love the shade of blue and beading on it. It look great styled with your black jeans. I am loving the vintage look of this jumper so very retro (quite suiting seeing as it is from beyond retro….love that shop). Welcome to The Fringe Off gang :).